: Cost of Brickyard Automotive Repair & Service Franchise? How Much Does It Cost to Own a Brickyard Automotive Repair & Service's Franchise? Owning a Brickyard Automotive Repair & Service automotive franchise can be a lucrative business, but it does have some initial financial requirements. To open a single general auto repair services location, the company requires that potential franchisees have liquid assets of at least $100,000. The franchisee startup costs associated with owning a Brickyard Automotive Repair & Service automotive franchise are similar to those of Fleet Services InternationalAdvanced Maintenance On-Site Vehicle ServicesBumper Man. 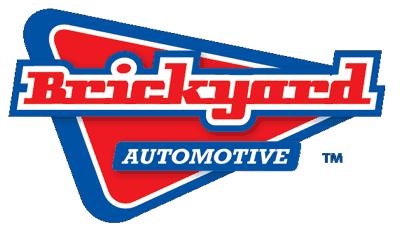 Brickyard Automotive Repair & Service falls under the 'automotive' franchise category. Inside this category, it is further subcategorized under 'auto repair' and 'auto transmission'. See how the investment level of Brickyard Automotive Repair & Service's compares to those of other available automotive related franchises. Brickyard Automotive's fresh concept in auto repair and maintenance provides a distinct blend of low-hassle, high-value customer experience essential to success in the 21st century. Offering both basic maintenance and major repair services in a consumer-oriented environment sets Brickyard apart as the only shop a customer will need for the life of their vehicles. With a variety of flexible start-up options, facilities and services can be customized for your specific market and investment profile. Brickyard is not beholden to any other corporation, and therefore does not constrain franchisees to purchasing from particular providers - ensuring that each individual shop can maximize vendor relationships and profit margins. Dynamic training and ongoing support in both operations and marketing (both traditional and online) are provided to give our franchisees a solid framework for success. Brickyard Automotive Repair & Service is not currently accepting new franchise inquiries through this site. Please see our comprehensive directory for currently available franchises near you.